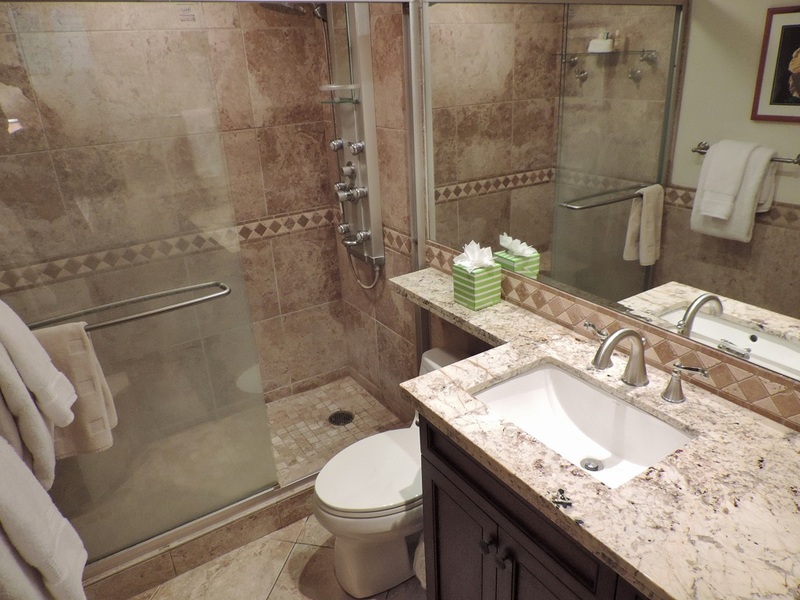 This is the premier one bedroom, one bath unit at the Kihei Surfside! One of the best locations in the building - 50 feet from the ocean! This second floor oceanfront condo at the Kihei Surfside Resort is located on the sought after ocean side of the elevator, and in the coveted "2 stack", which are the closest to the ocean one bedroom condos in all of Kihei or Wailea. It has a spectacular view from the kitchen, living room, dining area and lanai. It is one of the larger, 1 bedroom, 1.5 bath units (680 sq ft). The view of the ocean and its abundant wildlife is absolutely breathtaking. It was completely remodeled and refurnished in June 2010, refreshed in 2015, and is spectacular in every way! Considering its high level of finishing and location, we believe this is the finest unit one bedroom, 1.5 bath in the building. The entire unit has porcelain flooring. 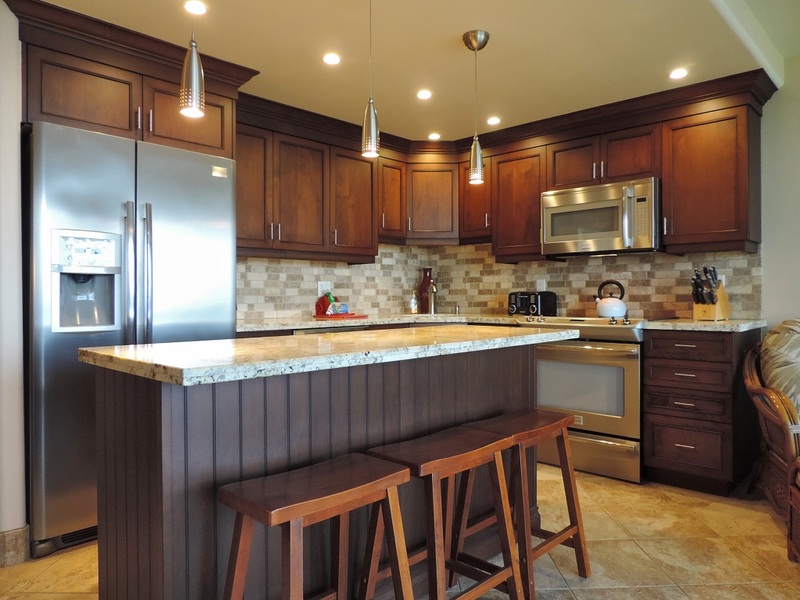 All the cabinetry was custom made and imported from Canada. It is cherry stained maple, and all counters and vanities are topped with a very unique, light colored granite called "Delicates". All lighting in all rooms is controlled by dimmer switches. The oversized gourmet kitchen is spectacular! It is fully equipped with stainless steel Professional Series appliances, including side by side fridge/freezer with water and ice, flat top stove with five burners and warming drawer, quiet dishwasher, multi-function microwave oven, garbage disposer and a variety of small appliances including coffee maker, coffee grinder, four slice toaster, blender, crock pot, rice maker and hand mixer. There is also a large selection of higher end pots and pans, baking pans, high quality knife set, spice rack and ample matching dishes, glasses and cutlery. The corner sink design allows for maximum efficiency and working space. The island has a six foot eating ledge with three barstools. The living room has a queen size sofa-bed with matching large comfy armchair with ottoman. There is also a large 47" flat screen LCD HD color TV with an HD cable box c/w DVR and DVD player, and of course, a multi speed ceiling fan. The large, private lanai has a glass bistro table with two heavily padded swivel rocker chairs - a perfect place to enjoy your morning coffee or a romantic oceanfront dinner! The entry has a large built in, granite topped buffet with cabinets and a full set of dresser drawers, and a desk area with free high speed internet (wi-fi and Ethernet) and free long distance calling to the United States and Canada. The bedroom has a high quality pillow top King size bed, high quality bedding, multi speed ceiling fan, Hawaiian style rattan furniture, plantation shutters, oversized closet, digital security safe, telephone and a wall mounted 32" flat screen LCD TV. The unit is fully equipped with, fresh linen and towels, iron/ironing board, hairdryer, beach chairs, beach towels and a cooler. Umbrellas, boogie boards and snorkel gear are not supplied, but are often left behind in the units by other guests – no guarantees. 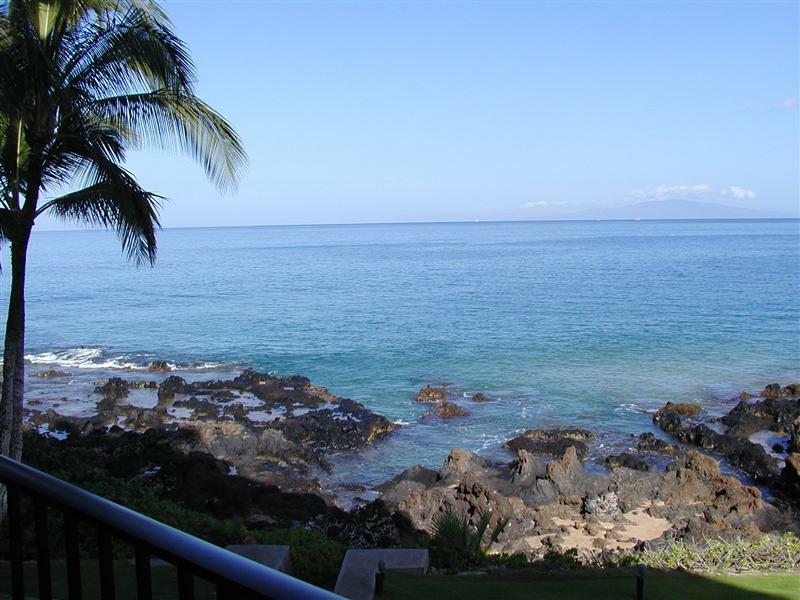 The Kihei Surfside Resort is located at 2936 S. Kihei Road, South Kihei at the entrance of beautiful Wailea. This is the desert part of Maui, where the sun shines more than any other part of the island. The Kihei Surfside Resort consists of an absolute oceanfront concrete building of 6 floors and 84 deluxe units with an elevator. The building underwent an extensive makeover during the summer of 2015, it was closed for six months. Each unit received new windows, doors and railings, and the building itself had a complete concrete restoration and paint. There is free parking on site. 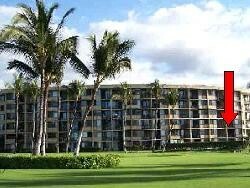 The resort is a twenty-five minute drive from the Kahului Airport (OGG). Rental cars are available at the airport or in Kihei town. There are also taxis available at the airport (about $50), a shuttle bus and public transportation. Another unique feature of the property is that we have a 2 acre, immaculately kept oceanfront lawn area with dozens of loungers, with a heated swimming pool and deluxe barbeque facilities. In season, there are daily whale sightings from both the grounds and lanais. In fact, the Pacific Whale Foundation conducts their annual whale count from our property. The building is located at the north end of Keawakapu Beach, one of the most beautiful beaches on Maui (voted Maui’s most romantic), where you can walk for miles past some of the most expensive oceanfront homes on the island and the luxurious hotels of Wailea. Rosiesrentals.com has been in business since 2003. We run our business from Surrey, British Columbia, Canada. We personally own several units in the Kihei Surfside building, and also own units in Scottsdale, AZ, and Lake Country, British Columbia. In Hawaii, we are not a property manager, but rather represent our own units as well as act as the face and the name for other friends and relatives within the Kihei Surfside Community who self-manage their properties and advertise them on the internet. Together, we have the largest selection of properties to rent at the Kihei Surfside, including many in the prime locations. We are registered in Hawaii as a Transient Accommodations Operator. We have an on island representatives who handle any issues that arise with the units or guest concerns.